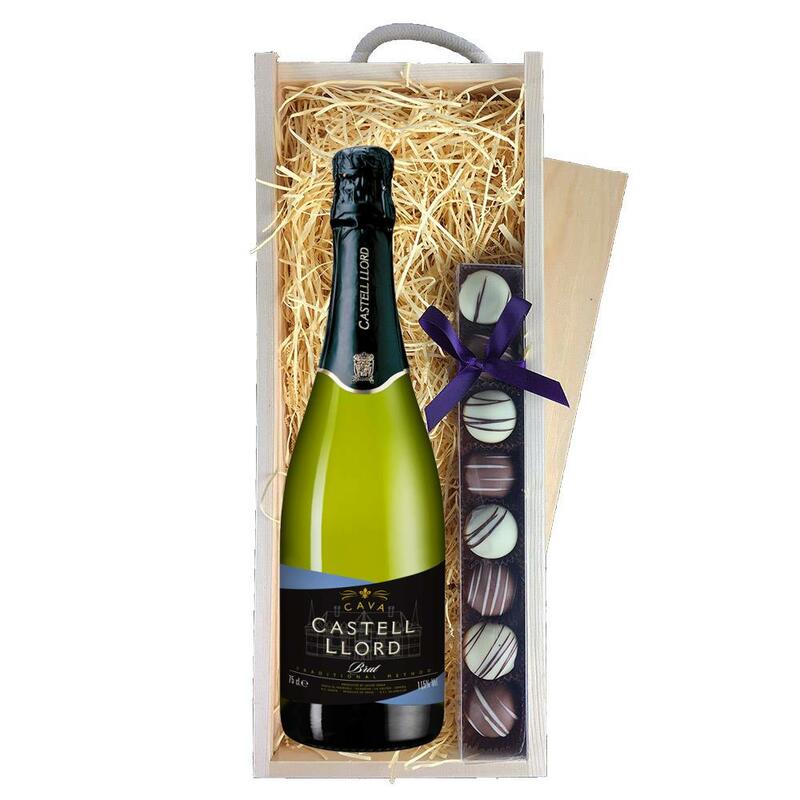 A single bottle of Castell Lord Cava 75cl 75cl and a single strip of fine Hand Made Truffles(100g) Presented in a wooden gift box with sliding lid and lined with wood wool with a Gift Card for your personal message. Soft, creamy sparkler from Northern Spain, with zesty fresh fruit and a wonderfully clean, dry finish. For any party this is the perfect opening glass - Weddings, birthdays or just for the sake of it. This product is hand packed onsite by Gifts International, and is not affiliated with any other brand. Gifts International is responsible for this product combination/set.